On select unit sizes only. Most advanced and clean storage facility I have been to yet! Customer service was impressive. I felt secure while in the storage facilities. Keylock Storage has worked well for me. The staff was nice and friendly. They showed me the unit before I rented it. Very new and clean. The price was great as well. Very nice place! The units shown to me were clean and ready to use. I was able to begin moving my stuff in right away. Extremely pleasant experience! If you're looking for a free alternative to a gym - we've got them here! Keylock Storage has been offering the best in the self-storage industry since 2003. 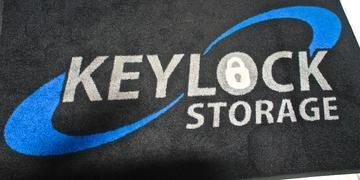 As a privately held company, Keylock Storage owns and operates state-of-the-art self-storage facilities throughout Idaho, Washington, and Oregon.